A scan of the astrolabe revealed etchings on it. 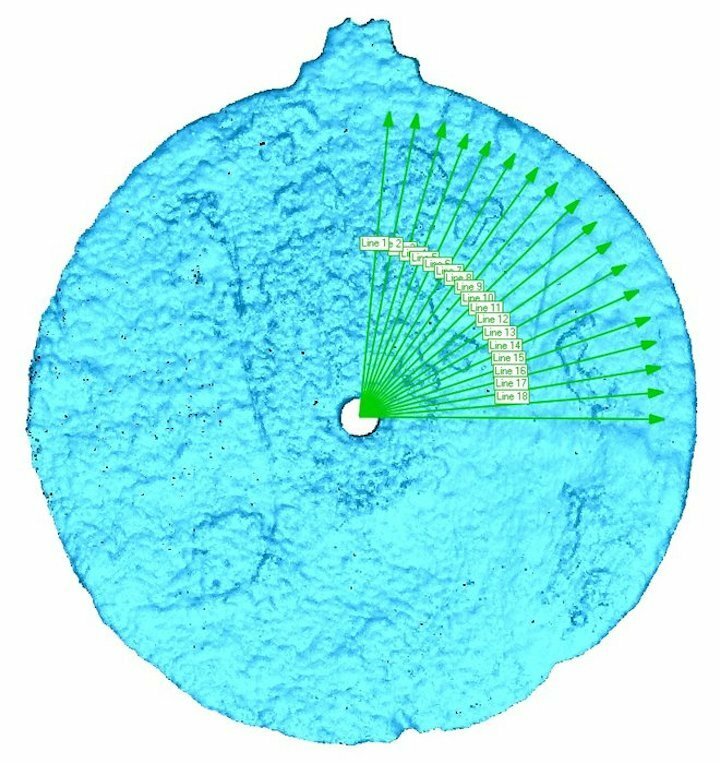 More than 500 years ago, a fierce storm sank a ship carrying the earliest known marine astrolabe — a device that helped sailors navigate at sea, new research finds. Divers found the artifact in 2014, but were unsure exactly what it was at the time. Now, thanks to a 3D-imaging scanner, scientists were able to find etchings on the bronze disc that confirmed it was an astrolabe. 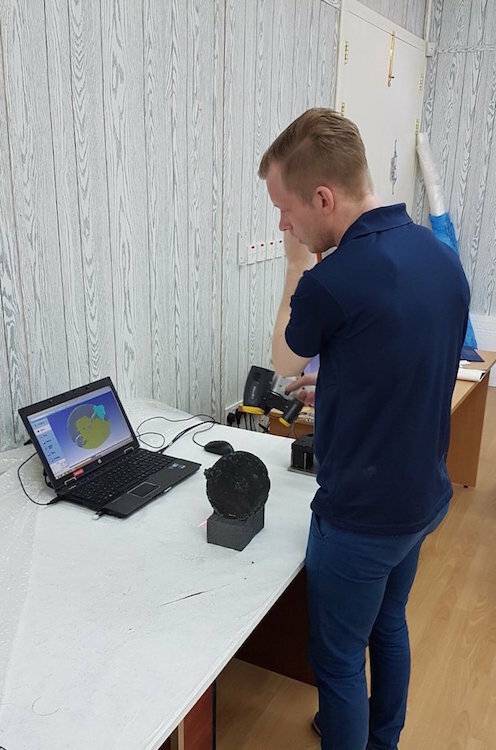 "It was fantastic to apply our 3D scanning technology to such an exciting project and help with the identification of such a rare and fascinating item," Mark Williams, a professorial fellow at the Warwick Manufacturing Group at the University of Warwick, in the United Kingdom, said in a statement. Williams and his team did the scan. A researcher examines a scan of the astrolabe. In 2014, an expedition led by Blue Water Recoveries excavated the Esmeralda shipwreck and recovered the astrolabe. But because researchers couldn't discern any navigational markings on the almost 7-inch-diameter (17.5 centimeters) disc, they were cautious about labeling it without further evidence. Now, the new scan reveals etchings around the edge of the disc, each separated by five degrees, Williams found. This detail proves it's an astrolabe, as these markings would have helped mariners measure the height of the sun above the horizon at noon — a strategy that helped them figure out their location while at sea, Williams said. One side of the astrolabe has the Portuguese coat of arms, and the personal emblem of Portuguese King Dom Manuel I. 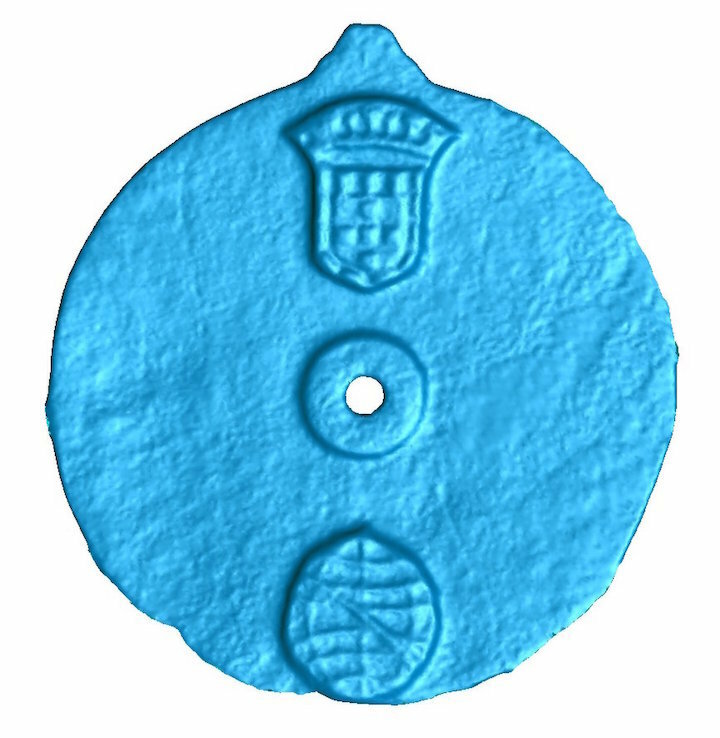 The disc is also engraved with the Portuguese coat of arms and the personal emblem of Dom Manuel I, Portugal's king from 1495 to1521. "Usually we are working on engineering-related challenges, so to be able to take our expertise and transfer that to something totally different and so historically significant was a really interesting opportunity," Williams said.